AND keep God and His Word a main focus? 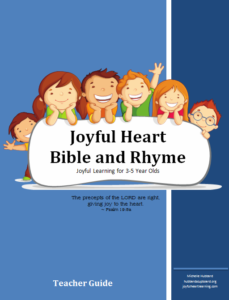 Welcome to Joyful Heart Bible and Rhyme! To develop a growing respect and love for God and His Word. 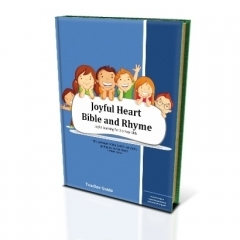 To build connections between Bible teachings and other academic areas of learning. To hear, recognize, reproduce, and manipulate the sounds of language in a playful manner. To develop basic math concepts using manipulatives – a ‘hands on’ process. To instill an overall love for learning through enjoyable, developmentally appropriate experiences. ADDITIONAL PRINTABLES – I created TONS of new sheets to go along with all of the suggested activities! FONT SORTS – All of the letters needed are included with the sorting mats and a few VARIATIONS are given to switch it up a bit. WEEK BY WEEK LESSON DOCS – These contain the weekly/daily plan, all of the week specific printables, and a new MATERIALS PREP LIST all in one document per week. Now, there are UN-NUMBERED REVIEW WEEKS, making it simpler to insert review weeks near the holidays and giving greater flexibility to start the curriculum when you want. ready to download for just $12.00. 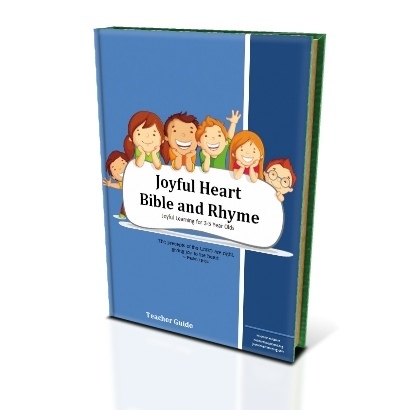 Just click on the link below to purchase this curriculum. And 1 Week By Week Folder filled with 38 documents, each containing a week’s worth of lesson plans and printables!